Enhance your complexion with Urban Decay’s Naked Flushed Face Powder in Streak, a trio of pressed powders presented in a stunning mirrored compact. The set comprises a blush, bronzer and a highlighter to colour, contour and illuminate the skin. 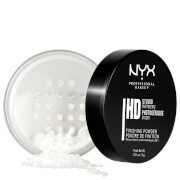 Formulated with micronized, jet-milled powder, the ultra-light Flushed Face Powder will give a flawless finish to any skin tone and type. Light-diffusing particles will keep your face fresh-looking throughout the day and night. The sleek, magnetic case of powders is a makeup bag essential and perfectly compact for taking out and about when a touch-up is required. 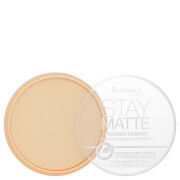 I ran out of my usual MAC bronzer and blusher and came across this on the site. It’s a great three in one option and extremely pigmented. I love the colours and it goes on really smoothly, just remember to shake your brush or you could end up with too much product on your brush. It gives a really pretty, healthy flushed look in respect of the blusher and I now need to find a lipstick to match. I’ve always been a firm MAC fan, but I will be buying this again. Yes I would recommend.